Hey all, my second post here. 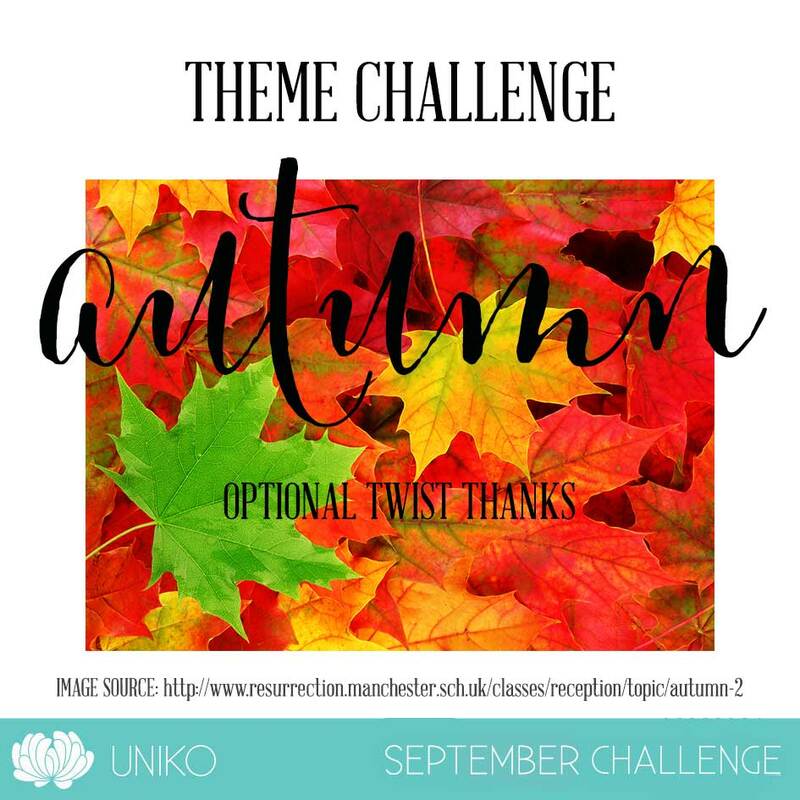 Have you joined us yet for the Uniko current challenge? If not, there is still plenty of time to join. 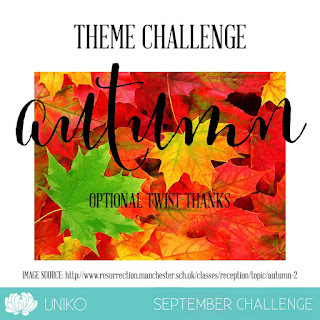 The theme is autumn with an optional thanks. For my card, I have used the free digi from Uniko, click here to get it. I printed it on a water color paper and colored using zigs. The sentiment is also part of the free digi downloads. I added a brown glitter strip to the sentiment panel, and a few pearls to finish off the design. I have used a pale green textured card stock here. Hope to see you all join here. 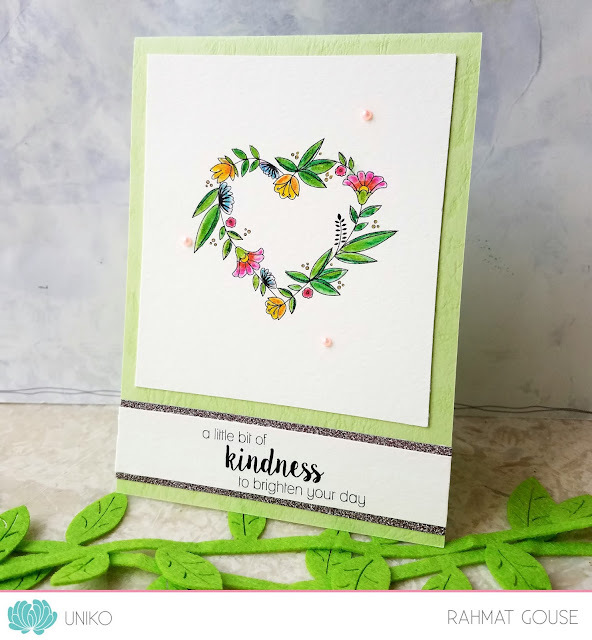 Stop by the blog to see more from our DT. Super freebie and beautifully coloured. Fabulous!